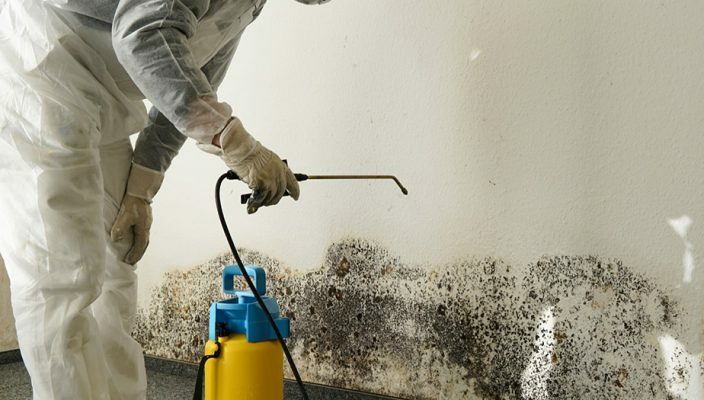 Mold has received a lot of attention over the past two decades. Black mold and some other types have been linked to serious health concerns for individuals. Any type of mold gives off offensive odors that can be embarrassing at the very least. Mold needs some specific conditions to be present in order for it to grow. Mostly, mold prefers dark enclosed areas that have little or absent air circulation. It tends to grow quicker if there is also moisture present and a warmer temperature. Home or business owners can prevent mold by implementing some easy tasks. Individuals typically find mold in areas where people do not often venture into. This might be a basement, crawlspace or attic. Inspecting these areas thoroughly at least once or twice a year can help keep this unwanted fungus from invading. Homeowners can install better air circulating fans or vents in hot stuffy attics. Any tears or cracks in the home’s structure should be fixed to reduce the chances of outdoor moisture getting drawn inside. Broken shingle tiles on roofs are often a causative factor for mold found within attic spaces. If mold is already present, having a professional that specializes in mold removal perform the work is the safest way to eliminate this nasty problem. Basements are often damp and dark. It is important to seal off any place where moisture can enter. Running a dehumidifier can lower the basement air moisture, and fixing any water drainage issues can keep unwanted water from seeping in. It is usually better if a professional mold eliminator handles the actual removal process. Minute mold spores can easily get transferred to other locations if the area is not properly walled off with the right air flow setup during the removal. To prevent mold from occurring in the first place, every family member should avoid throwing wet towels or clothes on bathroom floors. The entire home should be thoroughly checked by a company experienced in dealing with mold. Utilize recommended barrier products that a competent mold specialist can perform. This process adds a protective shield that will repel any future mold growth. Paying attention to at risk areas can significantly reduce the chances of a mold infestation. Sealing windows and doors can also help keep this smelly fungal problem at bay. A professional mold inspection can alleviate mold concerns.